This is probably the strangest situation in which Kerry football has ever found itself. 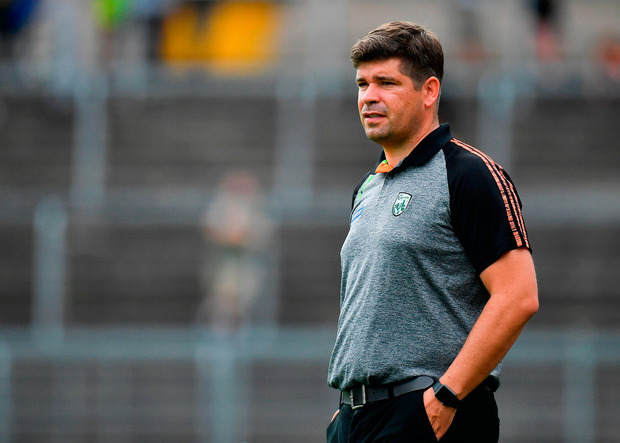 Ostensibly, it’s business as usual as they prepare for a championship game in August, the only peculiarity being that the venue is Killarney rather than Croke Park. Of course, there’s a far more important difference. For the first time in their history, Kerry can win a championship game and still be eliminated from the All-Ireland race. It’s a form of psychological torture that must have made preparing for this game very difficult. All their direct energies are devoted to beating Kildare, but it’s happening against a harsh backdrop which is constantly reminding them that even if they win, their fate still depends on events 135 miles away in Pearse Stadium, where anything other than a Galway win over Monaghan would eliminate them. “My attitude all along to the ‘Super 8s’ has been that if you don’t come through it, you are not good enough and if you do come through, then you are well tested and ready for the All-Ireland semi-final. We are still in that position,” said Eamonn Fitzmaurice. It’s the ultimate in precariousness, laced with irony in that Kerry won 15 of 17 quarter-finals (plus one draw) under the straight knock-out system that applied up to this year, only to find themselves relying on the kindness of strangers (Galway) to keep them alive in a four-way round-robin series. The first priority this evening is to win by a sufficient margin to ensure that if Galway beat Monaghan by a point or two, Kerry’s scoring difference will be enough to take them into second place. They are currently on minus 3 points, with Monaghan on plus 2. Of course, if Monaghan beat or draw with Galway, Kerry’s season is over and will be classed as a major disappointment. If they beat Kildare, it will leave them with the following league-championship record for the season: Played 12, Won 6, Drew 1, Lost 5. Considering that two of the wins came in the opening two rounds of the Allianz League, it’s a poor return for a squad which was seen as most likely to build the biggest obstacles on Dublin’s four-in-a-row course. Despite their perilous position, there’s a sense in Kerry that if Galway do them a favour, anything is possible. It’s Kerry confidence at its most heightened, but then the rest of the country obviously feels the same. Despite their fate being out of their hands, Kerry are still third All-Ireland favourites (9/1) behind Dublin (4/9) and Galway (6/1), coming in ahead of Tyrone (12/1), Donegal and Monaghan (16/1 each), all of whom are still in control of their own destiny. It’s a strange situation, but clearly the markets believe Galway will eliminate Monaghan and re-open the door for Kerry. All of which ignores Kildare’s role in the intriguing saga. Since they cannot reach the semi-finals, it might look as if they have little to play for and will be picked off relatively easy, but that’s not strictly the case. A win could would take them ahead of Kerry, providing a real season-end morale booster. It’s unlikely to happen but it gives them plenty to fight for.